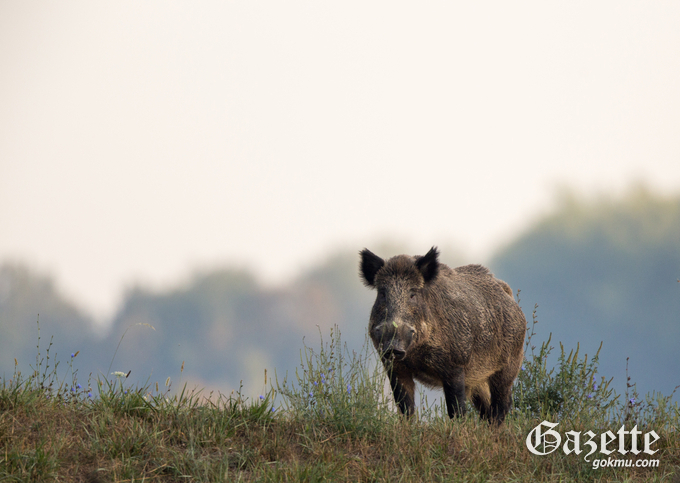 Late in the afternoon on the October 24 , two wild boars were spotted walking around at the Sungseo Campus at Keimyung University in Daegu. One of the wild boars was shot in 30 minutes by a team of officers at the Dalseo-gu Office, while the other has failed to be captured as the officers could not find its tracks. Meanwhile, experts advise that if you encounter a wild boar you should slowly walk away while looking straight in their eyes as wild boars attack them when you run or shout. In addition, you can avoid a crisis if you quickly hide by hiding behind trees and rocks.